Where do I change the fonts? Is there a way to have the headline of a post above the featured image? 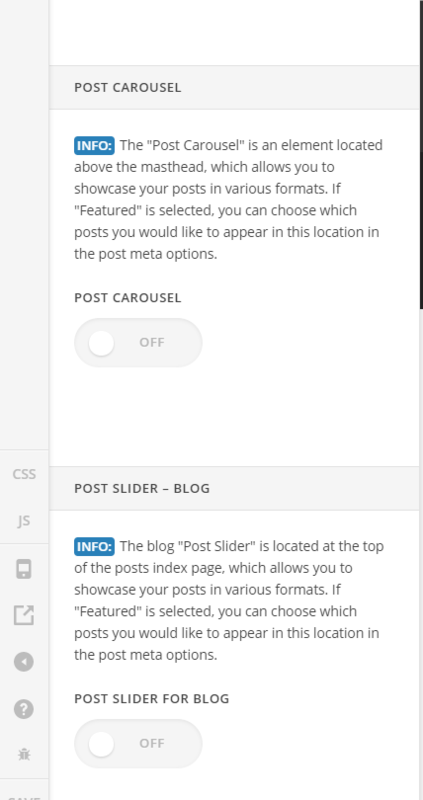 Those are Ethos stack features that can be access on X > Launch > Theme Options > Ethos > Post Carousel | Post Slider- Blog. Turn it on. 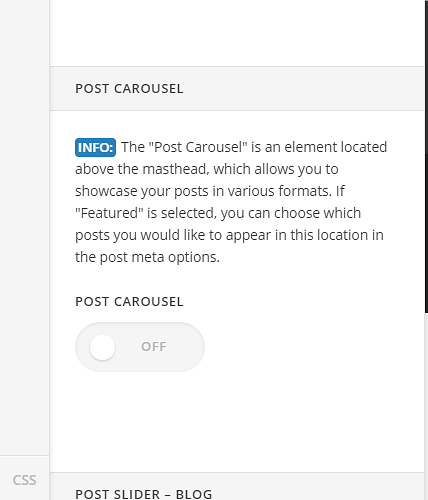 In case you have chosen Feature under Display there is an option on each Post to display this post on the carousel or slider. Thank you. This helped a lot! I'm getting there thanks to you, but I still have a couple more questions. The demo has blog post thumbnails above the navigation, how would I go about doing that? The featured image seems to be missing from my home page? The headline code worked, but I can't get the customizer to save and changes???? 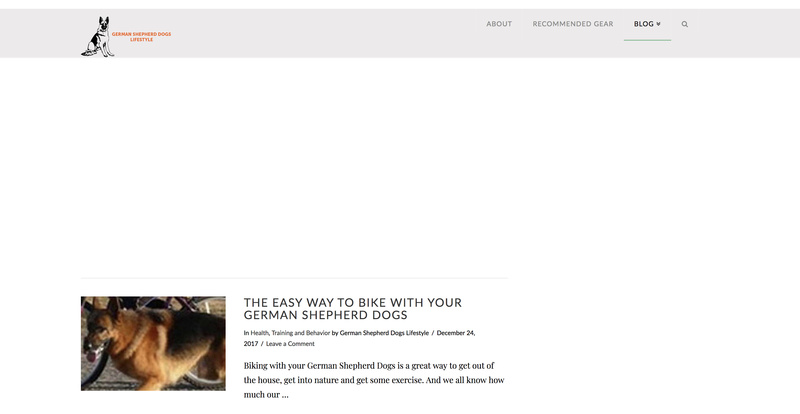 How would I get the blog articles to display with nav bar going to the top of the screen like this example. 1.) The blog post thumbnails with information on hover is the Post Carousel as stated on the previous reply. 1.) 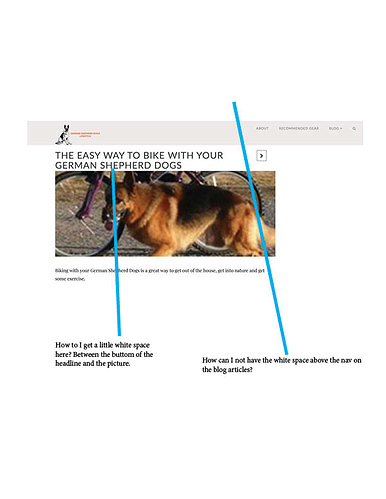 Are you referring to the picture above the navigation with headline Let's build your income? When I checked the site, it is built using Pro header builder. Bar with background image, headline and button element. 2.) Those are blog carousel. 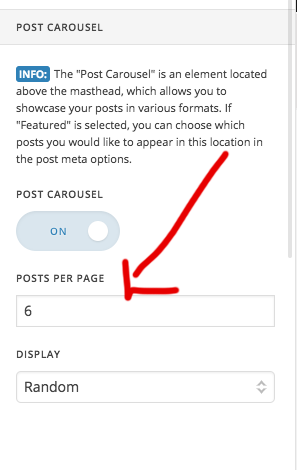 Make sure to enable a post to display on blog carousel. You can see Post Slider Display – Blog under Ethos Post settings. 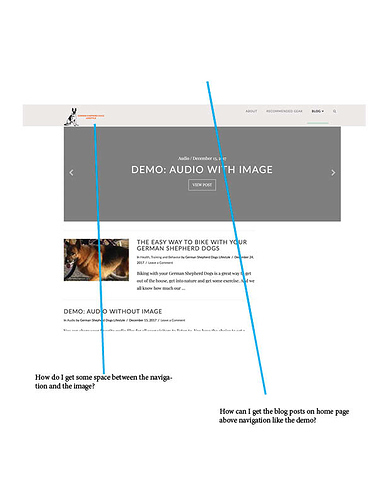 If you enable that option, that specific blog post will appear on the blog slider under the navigation. Regarding the error on the customizer, please share your site URL and credentials on a secure note so we can check. It is a good practice to check for plugin conflict too. You can do this by deactivating all third party plugins, and seeing if the problem remains. If it's fixed, you'll know a plugin caused the problem, and you can narrow down which one by reactivating them one at a time. Attached is a PDF with some screen references. Can you give us which specific change is not working? Then we will try to replicate to see the error. The carousel will still display on other pages. You are always helpful. Thank you. The error I was getting was when going to Appearance/Costumize/Custom/ then make the change to the code so the headline is before the picture I'm not able to lock in the change. Hope that makes sense? For the CSS for the blog post, so I literally follow your video? I had some problems mainly because I'm not too family with CSS yet. Sorry! 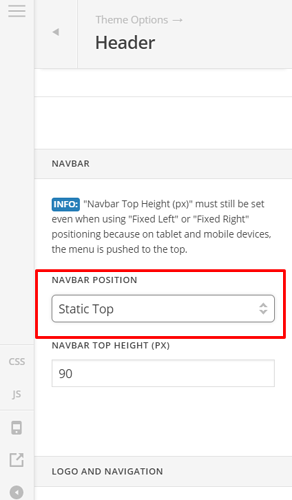 If I wanted to put a Pro Header above the navigation, with Pro Header Builder? How would I go about making that Pro Header display in the area above the navigation? Regarding CSS, unfortunately it is a very broad topic and we cannot discuss it here. See this guide: https://www.w3schools.com/css/ or you can consult a web developer for further customization. Thank you for understanding. How do I get my home page to have blog posts to appear above the nav area like the demo. 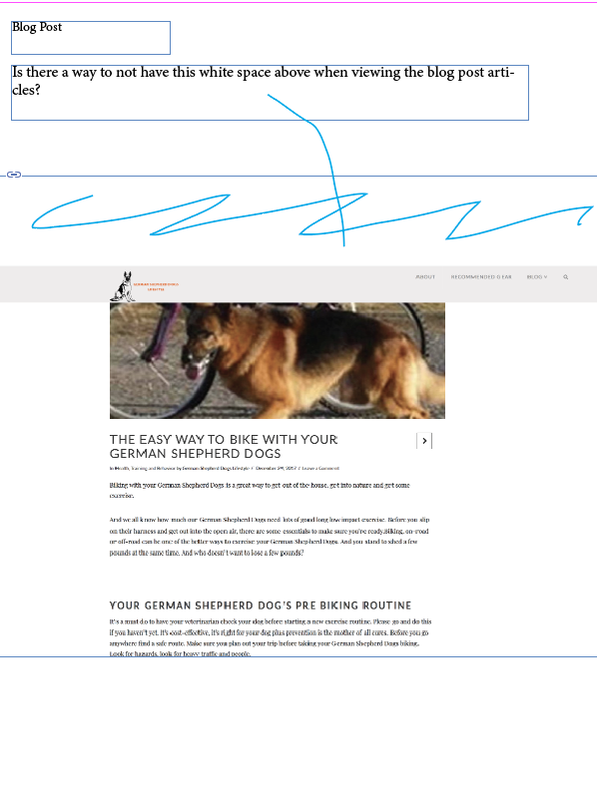 On the blog post there is still lots of white space above the nav bar, how do I get rid of this so the article has more vertical space? How can I get more white space between the bottom of headline and the picture? 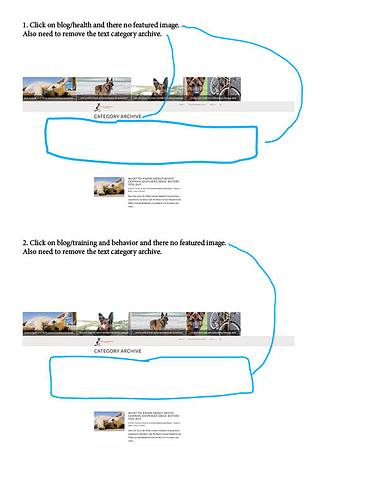 Your post carousel setting was not set properly. I have now set it to random instead of feature and its coming fine. The space was due to the post causal only. 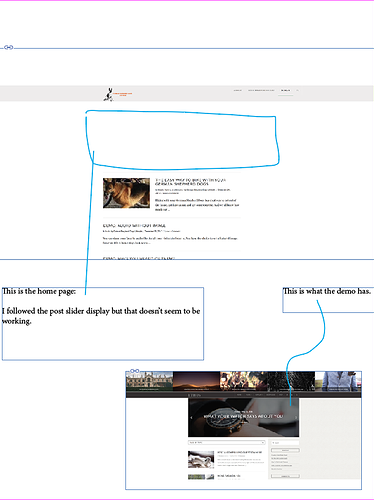 I have added css for the heading and image gap issue. Now its working fine. Sir, you are the BEST!!!!! Your level of service is unbelievability good! Thank you for putting the faith back into webs services. Click on blog/health and there no featured image. Also, need to remove the text category archive. 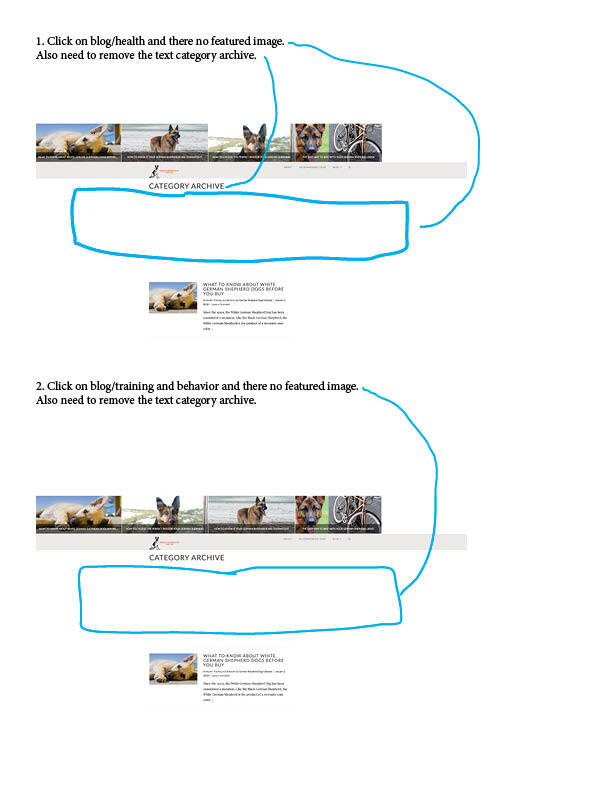 Click on blog/training and behavior and there no featured image. I have removed the space by disabling the slider from category page. and the title through css.